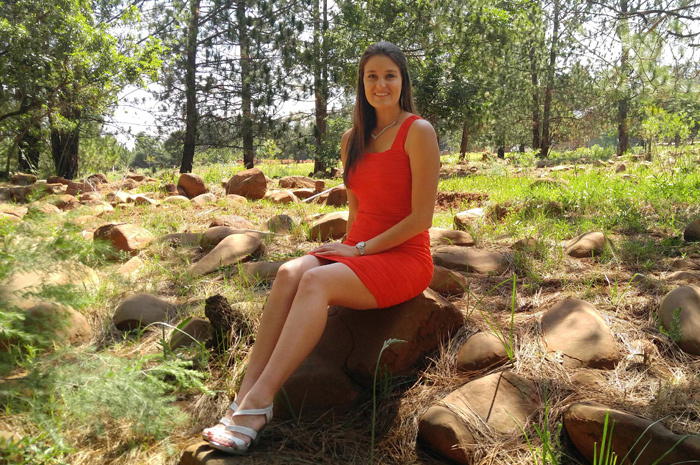 Meet Tanya van der Walt. I have just turned 21. Since an early age I had a passion for designing and I finished my studies at CTU Training Solutions Pretoria, for Graphic Design in 2016. With my two years of studying I got lots of moral support from my parents and my brother. I had amazing opportunities while I was a student. In my first year while I was studying Graphic Design, I did some work outside of college and it exposed me to the business world which helped me in developing business skills. In the beginning of my second year of studies in 2016, I got the opportunity to work for CTU Training Solutions Pretoria as Sales Admin, at the Pretoria Campus where I studied. This was a half day position, and the other half of the day I was in class. While working as the Sales Admin, I quickly learned how to be more organised, to work hard, and meet the deadlines that is set. In July 2016, I heard about a Graphic Design position, available at Arnold Classic Africa. This is Arnold Schwarzenegger’s Multi Sport Festival Event. I went for an interview and a week later I got a call back interview, where they told me I got the job. The 1st of August 2016 I started working for, Arnold Classic Africa, as Graphic and Web Designer. I still just worked half day, as they luckily understood that I still wanted to finish my studies. I completed my studies at the end of the 2016, and in the beginning of 2017 I got a permanent position as the Graphic Designer for Arnold Classic Africa. I really have learned a lot about myself since I became part of the corporate world, and that is that I am determined, and definitely motivated. The best advice I have ever been given, especially in the industry that I am in, is that the client is always right. You learn to adapt to different situations and requirements. For other former Graphic Designers my advice would be that you need to have people skills, and be flexible in your designing and the way of thinking in order to satisfy your client’s needs. I see a bright future for myself, because I am hard working, and determined to always better myself.